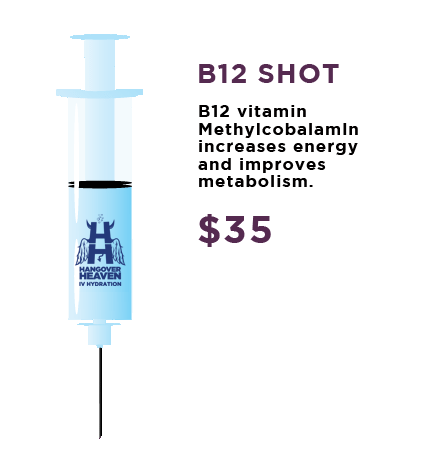 Hangover Heaven IV Hydration® is the leading provider of wellness IV therapy remedies, and are the experts in vitamin supplementation. We are committed to providing you with treatments that will cure hangovers, reduce stress, boost energy, and improve overall wellness. B12 shots give you energy and helps your body break down alcohol. We cure hangovers with the best version of B12 – Methylcobalamin. This shot is a mixture of six different B vitamins. Combine our B complex injection with antioxidants to feel more refreshed and less hungover! This treatment contains IV fluid, Vitamin C, Magnesium and 6 B vitamins.Energize your body with our Myers Cocktail. Our unique IV fluid formula, which contains potassium, glucose, sodium, and electrolytes, was created to ensure that your body gets everything it needs to properly rehydrate. With vitamin therapy, most people notice an increased energy level and overall well-being within minutes of receiving treatment. Providing a safe, sterile environment to each of our customers is our top priority, so we take every precaution to ensure that the highest standard of cleanliness is maintained as we administer our treatments. We use top quality supplies from a U.S.-based supplier and all of our staff are fully trained and licensed. 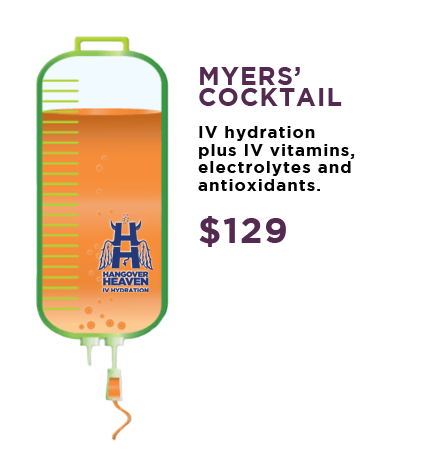 IV Vitamin Therapy generally takes approximately 30 minutes or less. There are very few side effects to getting an IV treatment. We use extremely small needles and catheters, as well as numbing medicine, so the entire experience is virtually pain-free. You may experience soreness or bruising around the injection site, but that is not common. Our clinic is located on Highland Drive, just minutes from the World Famous Las Vegas Strip. 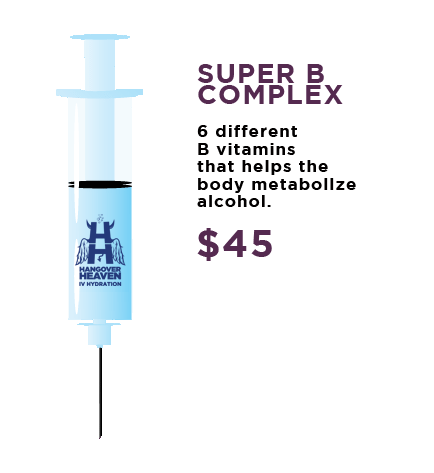 We accept pre-booked appointments, walk-in patients, and offer house calls where we come to your hotel room to provide you with an IV hangover cure. Hangover supplements are available for purchase.